KOO is part of one of the three architectural teams which have been chosen to create a pre-design for the last leg of the UIC new performing arts center competition. The three teams hold world-wide reputations for their award-winning design work, thoughtful approaches to urban public space and extensive experience leading multi-million dollar projects have been chosen as finalists to present concept design proposals for a state-of-the-art performing arts center on the University of Illinois at Chicago campus. The “Center for the Arts” at UIC will serve as a gateway and bridge between UIC and the world and as a destination for innovative arts and cultural production. 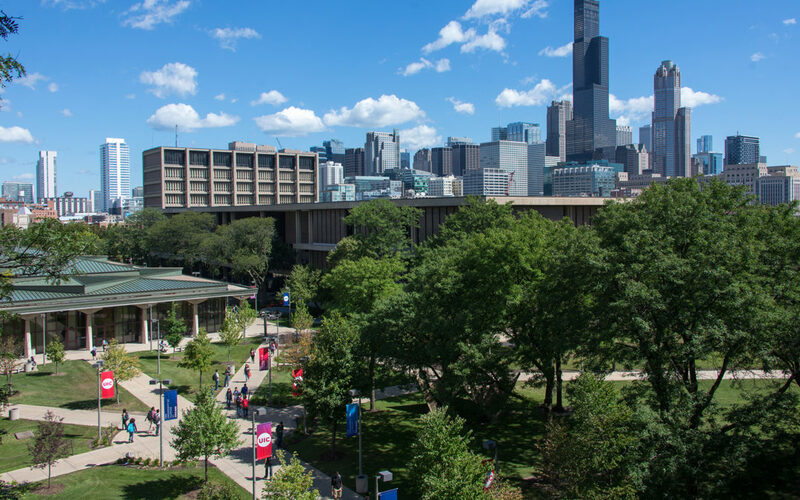 The center will be situated on the northwest corner of UIC’s east side of campus at Halsted and Harrison streets in a currently vacant location known as Harrison Field.